One of the most useful tools for the hobbyist working in wood or plastic strip material. Makes clean, neat, feather-free and accurate cuts, easily and inexpensively. Uses readily available single edge razor blades. Perfect miter cuts are a breeze with the 30, 45 and 60 degree guides included. An adjustable stop permits the exact duplication of pieces. Excellent for model ship planking, model railroad structures, dollhouse furniture and molding plus hundreds of other uses. Comes completely assembled with three blades. Base is 7-1/2 inches x 7-1/2 inches. Cuts material up to 3/32 inches thick. 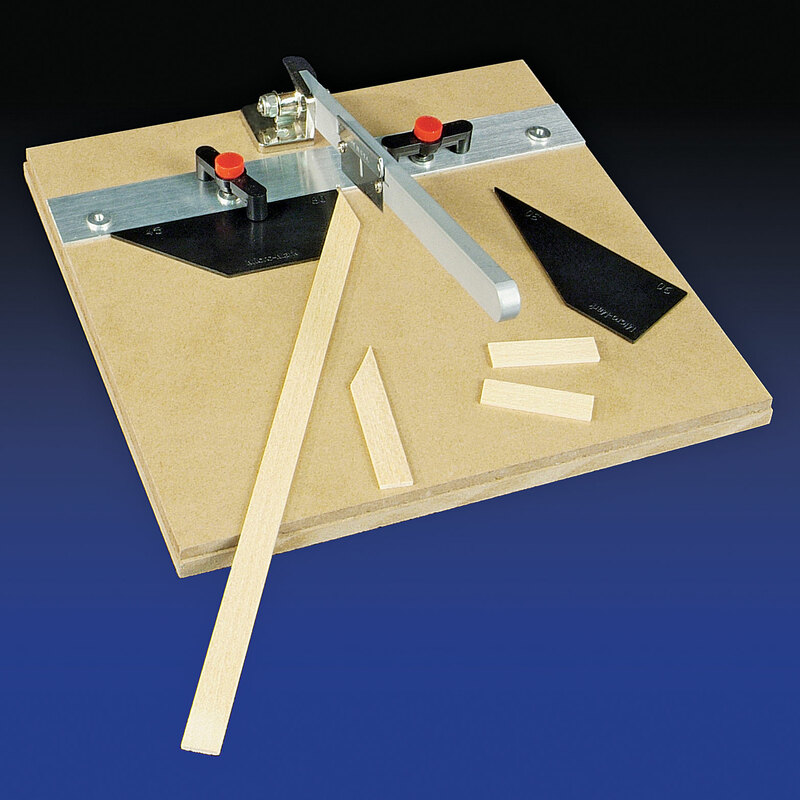 I bought one of these for balsa and bass wood cutting. I had been using a homemade style for years. Its a product that once you buy it you wonder how you lived without it. If I ever buy another I have seen one major mod that can be made to it to make it a completely versatile product. But since I only have one it will need to wait for a donor. Just cant believe how good this item performs at its intended use.